To understand the fundamental chemical processes of fluid–rock interaction during the pulverization of quartz grains in fault zones, quartz grains were crushed within pure water. The crushing experiments were performed batch style using a shaking apparatus. The crushing process induced a decrease in pH and an increase in hydrogen gas with increased shaking duration. The amount of hydrogen ions generated was five times larger than that of the hydrogen gas, which was consistent with the amount of Si radicals estimated from electron spin resonance measurements by Hochstrasser and Antonini (1972). This indicates that hydrogen gas was generated by consuming most of the Si radicals. 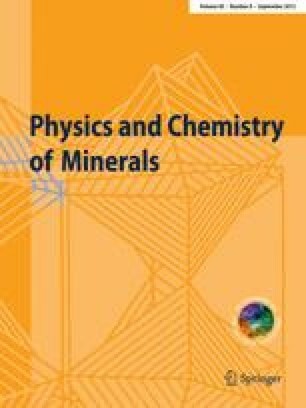 The generation of hydrogen ions was most likely related to the presence of silanols on the newly formed mineral surface, implying a change of proton activities in the fluid after pulverization of quartz. We very much appreciate A. Kronenberg and anonymous reviewers for their reviews and M. Akaogi for the editorial guidance. This research is supported by the Grants-in-Aid for Scientific Research System of the Japan Society for the Promotion of Science (13440134) and by a grant for a comprehensive research program on flow and slip processes in and below seismogenic regions, sponsored by the Ministry of Education, Culture, Sports, Science, and Technology, Japan.